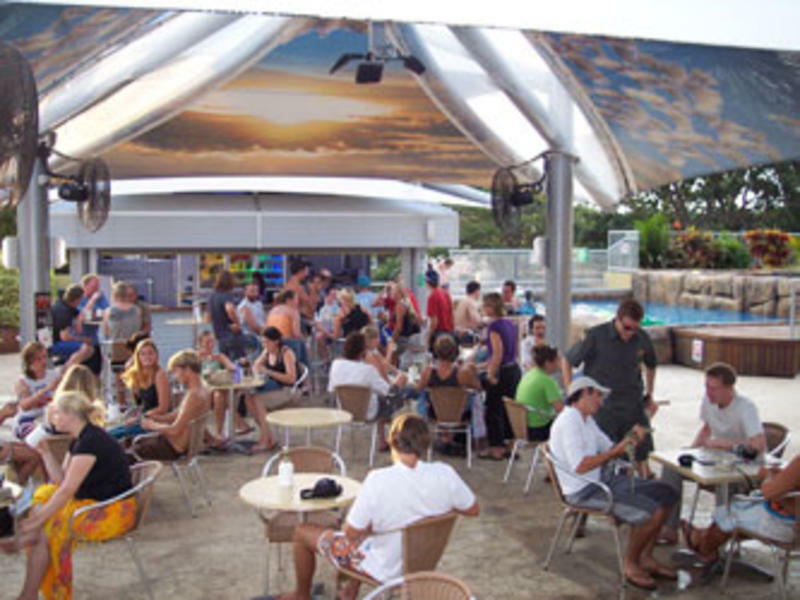 The Melaleuca is definitely Darwin's best Backpacker hostel, located on Mitchell Street right in the heart of the city allowing for easy access to all of the shopping, dining and awesome nightlife that Darwin has to offer. All of our rooms are spacious and clean with air-conditioning and fans, as well as individual security lockers for each guest. Female or Mixed dorms available on request, all at great prices! 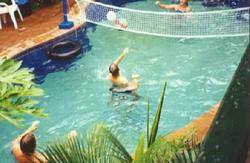 The hostel boasts the best leisure deck in the Top End (if not the World! ), with a 4 metre Big Screen, Wide screen TV, sports and music channels, 2 fantastic pools and spa with waterfall, licensed poolside bar, outdoor pool table, table soccer, darts and much more. The deck also has our self-catering kitchen (the largest in any Darwin hostel) with a laundry also for your convenience located on the 2nd floor sun deck. Our Reception, Tour Desk and Internet Cafe are all open 24hrs with our friendly staff able to assist in what to see and do around town and organise the trip of a lifetime for you to any destination Australia wide. 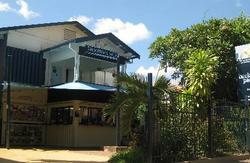 So for great prices, a great atmosphere and a great time, come and stay with us! FROM AIRPORT: The cheapest way is with the Darwin Airport Shuttle which is $15 one way or $26 for an open return ticket. For two or more it is cheaper. It runs 24 hours a day and meets all arrivals. You will be dropped off last at the Transit Centre and from there you just need to cross Mitchell St and turn right for 20 metres and you will find us. A taxi will cost around $30. Darwin Bus Transit Centre is only across the road. FROM TRAIN STATION: The Darwin Railway Station is 18km from the city across the harbour at East Arm. The Ghan provide transfers for $15 each for red service guests and can be bought from the terminal. Gold class transfers are complimentary. A taxi will be around $40. BY CAR: Follow the Stuart Highway into the City and continue on it when it changes into Daly Street. Turn left into Mitchell Street & Melaleuca On Mitchell is located 4 blocks down the road on the left. Car parking is available at rear. Check in at reception first to gain access.